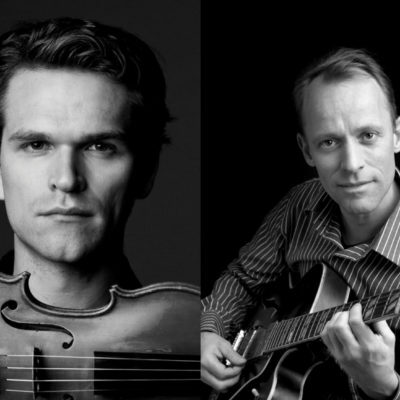 GRAMMY-winner and internationally renowned violinist and composer, Mads Tolling is here tonight, featuring Legendary Danish guitarist Jacob Fischer. He has written commissioned violin concertos for Oakland Symphony and the Pacific Chamber Orchestra. 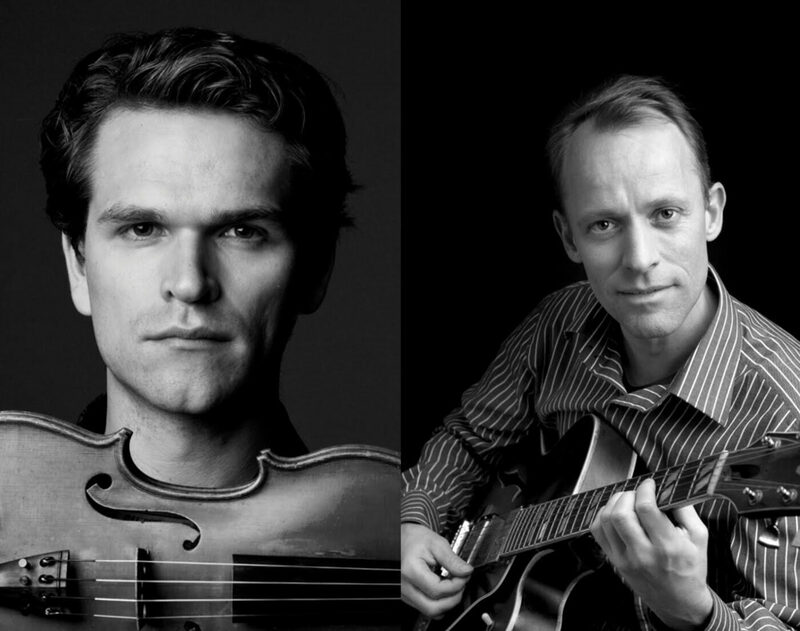 Right now, Mads leads his own groups – Mads Tolling Quartet and Mads Tolling & The Mads Men. His latest release called, Playing the 60’s, is a reimagination of classic songs from 1960s radio, TV and film, such as “A Taste of Honey” and “Mission Impossible.” Oh, and they look the part, too! He has performed over a thousand concerts around the world; at The Hollywood Bowl, The Library of Congress and at the Bay Area’s Paramount and Herbst Theatres. Tonight he is here, downstairs at Black Cat with an intimate performance, along with guitarist Jacob Fischer. Book tickets now! Click HERE to listen to Mads and Jacob!